Coffee mugs are one of those household goods that always seem to be around. They make the perfect last-minute gift and you can hardly resist buying another when you see the perfect one on the store shelf. 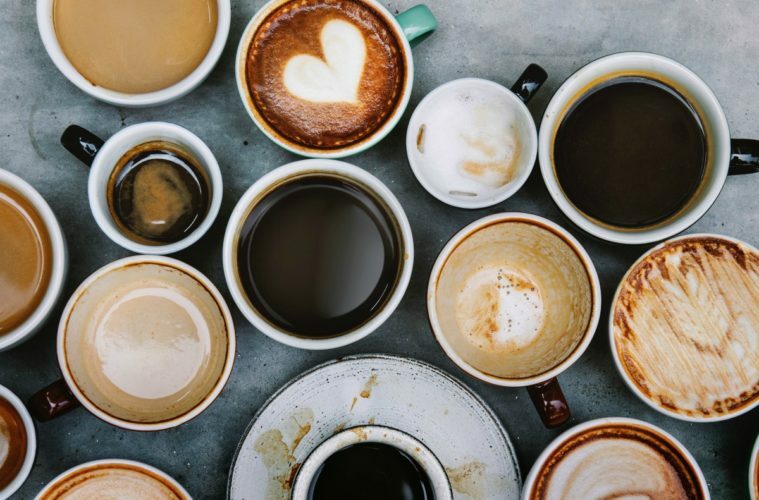 While these mugs always seem to be well-used, as Americans drink an average of 1.64 cups of coffee per day, they can quickly create clutter in your kitchen. Luckily, there are plenty of fun and creative ways to organize the mugs in your kitchen. From a simple DIY project to out-of-the-box cabinet storage, you can find the coffee cup organization technique that works for you. The size of your pallet will depend on how many mugs you want to fit on the rack. We’ll use a fourth of a pallet for this tutorial that measures 20.75 by 25 inches, as it fits about 12 mugs. If you have an entire pallet at your disposal, simply choose the section that has the wood that looks the best and most stable. Be sure to power wash the wood, as you will be hanging drinkware on it. Once you choose your section, mark off its borders from the rest of the pallet with a pencil and right angle ruler. Next, put on your safety goggles and use a circular saw to cut off the pallet section you want to use. Sand down your mini pallet until it is to your liking, just be sure that it is smooth enough that you don’t get splinters every time you hang up a mug. This next part is optional, but it can add a bit of character to your mug holder. On the top panel of your pallet, use your letter stencils, paint, and a sponge brush to paint the word “COFFEE” on the wood. You can use any color you like, although a classic white pops nicely against a traditional pallet’s wood. Just as half of a business’s customers enter it because of the signage, this small detail will help draw the eyes of your guests to this creative and functional piece you made for your home. You’ll then use a tape measure and pencil to mark where you want to place the hooks for the mugs. Once they’re evenly spread out over the remaining panels, use a drill and screwdriver to secure the hooks to the pallet. Be sure to keep one of the boards at the top of the back of the pallet so that you can rest that on two nails to hang on your wall. An organized kitchen can have a ripple effect of benefits. Not only will you save time by knowing exactly where everything is, but you will also feel less stressed without the clutter around and you can save money by not having to replace seemingly lost objects. You have a few options to achieve this organizational success with your mugs. One space-saving strategy is to install hooks under your cabinets. This method can clear up clutter on your cabinet shelves and give you the opportunity to display your favorite mugs. If you have space to spare, try creating your own coffee bar. Set up a station with your coffee grinds or beans, coffee maker, sugar, cream, and any other treats you like. Then, you can hang up your pallet rack or another vertical mug holder over the bar for easy caffeine access. Organizational tools like these coffee mug holders can do wonders for both the style and function of your kitchen. While 76% of homeowners change their kitchen’s style during their renovation project, you can shake up your design with something as simple as a well-crafted mug rack. Remember to have fun with your design options and you’ll have a DIY piece that you absolutely love.